I think we all like to think that we’re younger than we actually are, but a story coming out of the Netherlands has taken this desire to a whole new level – and it could have serious legal ramifications in the country for years to come. Emile Ratelband is 69 years of age, and he’s not too happy about it. Although he looks very good for his age, Mr. Ratelband has begun a legal battle to have his legal age set to 49. And why, you might ask, does he want to do this? Well, his main reason is getting more matches on Tinder. Emile isn’t having much luck on the online dating scene, and he thinks it’ almost exclusively because of his age. “When I’m on Tinder and it say I’m 69, I don’t get an answer” he said in a recent interview. “When I’m 49, with the face I have, I will be in a luxurious position” – well, he obviously thinks quite highly of himself. So what’s his argument as to why his age should be changed in the eyes of the law? Well, he claims that if transgender people are allowed to self-identify as a different gender to what they were born as, he should be allowed to change his date of birth. In an attemp to add weight to the theory, he says that doctors recently said he has the body of a 45 year-old. Mr Ratelband said: “I have done a check-up and what does it show? My biological age is 45 years. When I’m 69, I am limited. If I’m 49, then I can buy a new house, drive a different car. I can take up more work. So why doesn;t he just change his age to 49 on his profile? Hell, go nuts – why not 32? Well, you can’t actually lie about your age on Tinder – it goes off your Facebook profile, which these days goes off your official documentation, such as a passport or driving licence. 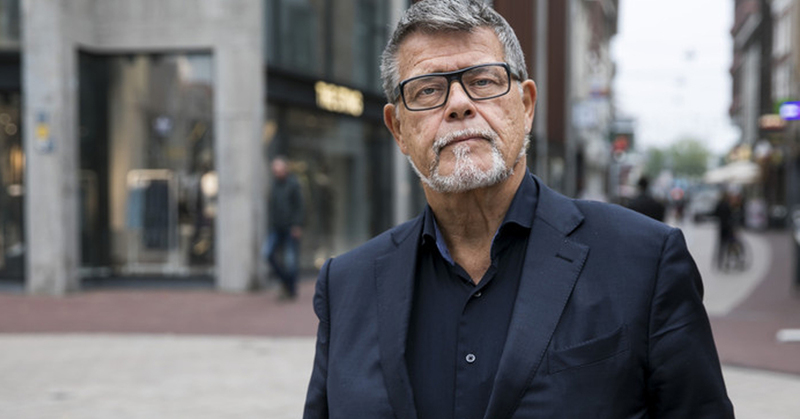 The entrepreneur and self-help guru is suing his local authority after being refused amendments of his age on official documents, and Mr Ratelband’s case has now gone to a court in the city of Arnhmen in the eastern Dutch provice of Gelderland. The Dutchman said he is discriminated against because of his age, and that he encounters problems in society on a daily basis. He complains that companies are reluctant to hire someone the age of a pensioner as a consultant. And he says his move would also be good news for the government, as he would be renouncing his pension until he reaches retirement age again. Well, at least he’s prepared to take the rough with the smooth! The judge said that he had some sympathy with Mr Ratelband, as people could now change their gender which would once have been unthinkable. But the court also said there would be practical problems in allowing people to change their birth date – as it would mean legally deleting part of their lives, which could have endless ramafications. The court is due to deliver a written ruling within four weeks. Watch this space, folks!